The best marketing collateral design begins with Nashville's best branding/design firm, Powell Creative. Doesn't your company deserve the best? Good marketing collateral should be more than just a good read - it should be A WORK OF ART. We approach marketing collateral design with the intention of how to best communicate the benefits of our clients’ products and services in a way that reinforces the spoken word. We’re passionate about ink on paper that best serves your most important purpose - delivering your message in a compelling manner, gaining lead generation, and ultimately closing sales. 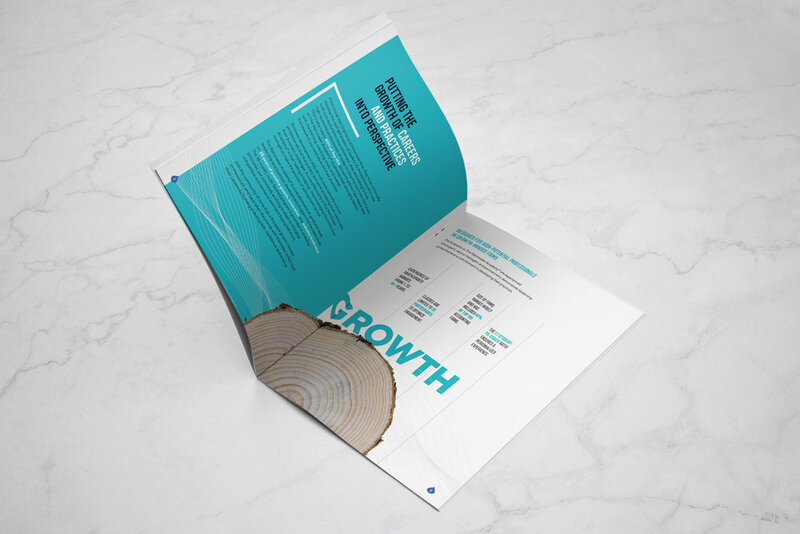 The Rainmaker Companies asked Powell Creative to design/develop a high-end sales brochure for The Rainmaker Academy®, one of their primary service offerings to accounting and CPA firms across the U.S. The Rainmaker Academy® is a series of classroom settings designed to elevate high-potential accounting professionals in growth-minded firms. We think The Rainmaker Academy® is now poised for their own growth with the assistance of this dynamic 16-page brochure we designed! 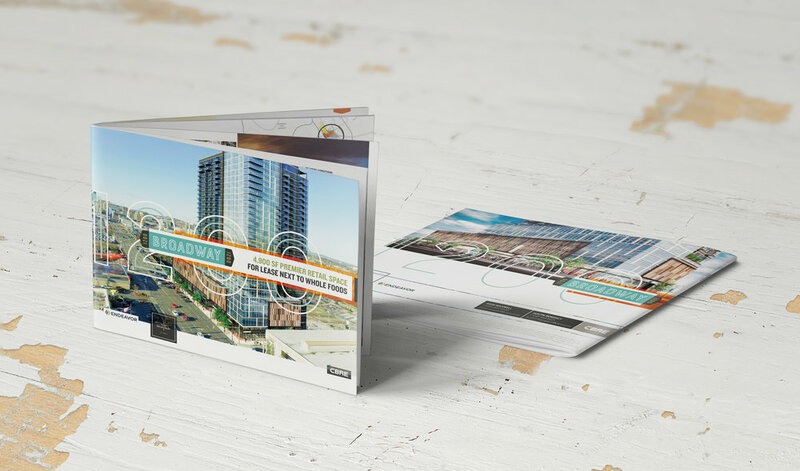 Powell Creative was proud to design a brochure for CBRE promoting Nashville's 1200 Broadway Premier Retail Space development (this is the land The Tennessean newspaper now occupies). Without a doubt, this is a premier location for an upscale development right on Broadway in the heart of Nashville. There was a lot of information to fit into this piece, however, at the same time, it had to exude the architectural style and feel of the coming development. We think we nailed it! Now CBRE has the 'premier' marketing collateral they needed to promote this highly sought after development! It's always a challenge making something old feel new again. 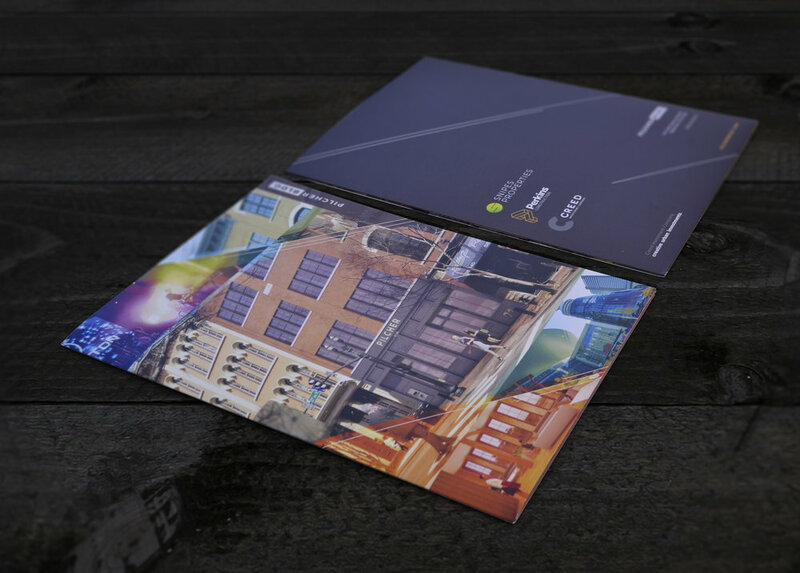 That's exactly what the fine folks at Creed Investment, Snipes Properties & Perkins Construction did when they renovated the historic 5-story building off of Second Avenue and that's exactly how we approached their marketing collateral. 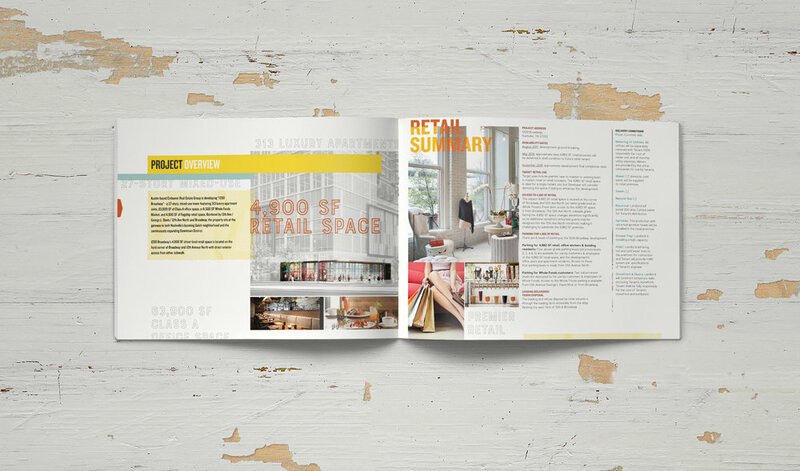 By adding vibrant bursts of color and unique angles to their sales brochure, we feel we've built something that will stand out among the crowd! An emerging and innovative business, Creed Investment Company was in search of a way to reach out to potential clients. 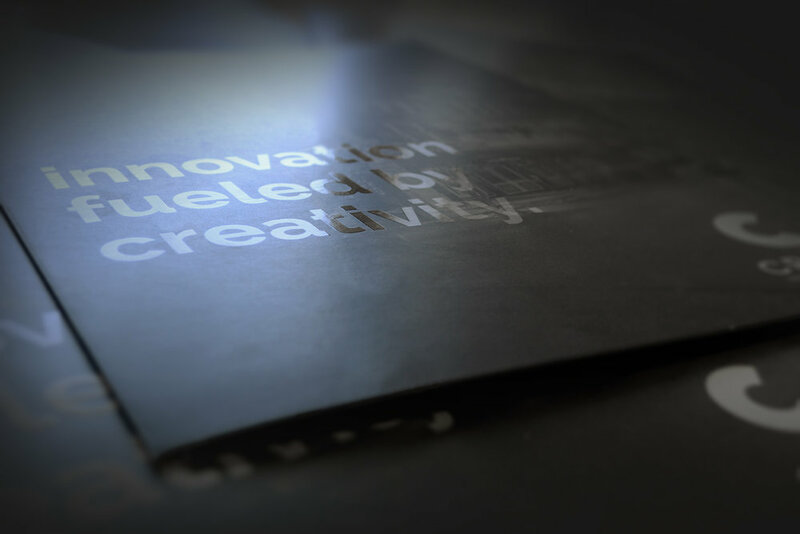 With the sleek, matte black pocket folder we designed, they can do just that. The matte finish gives it a very modern feel. We also incorporated a gloss spot UV on the front cover to add a sense of intrigue. 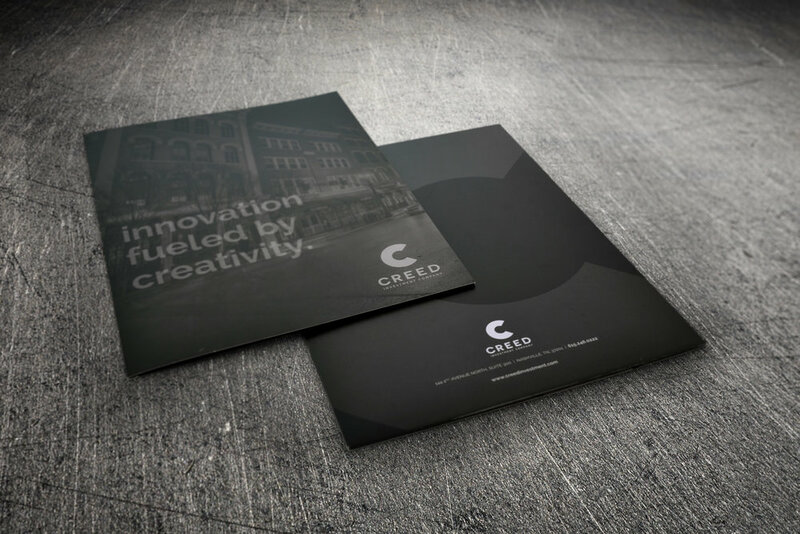 After creating the Creed Investment logo and business cards, the design of this folder was an excellent way to fully bring the Creed brand out into Nashville. Music City Center Rigging needed a "show piece" Look Book that demonstrates the many branding opportunities available for events at Music City Center. We handled the photo shoot, concept, design, production and printing of their new Look Book! 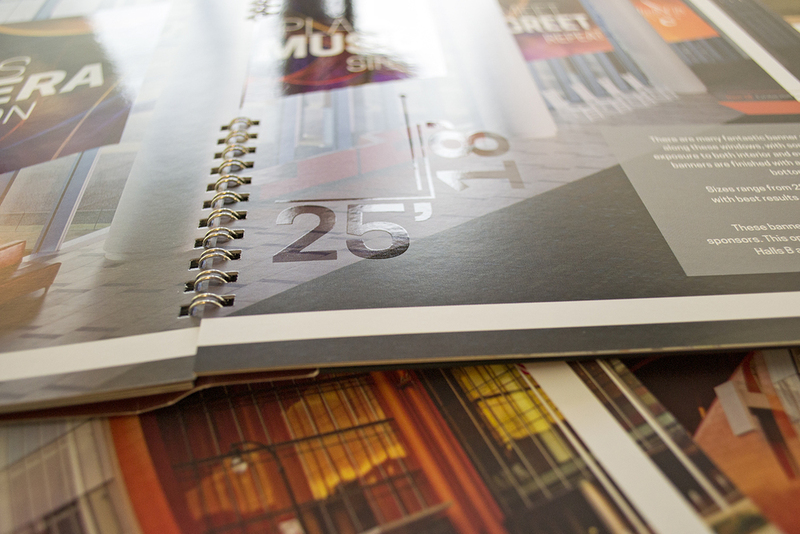 The end result is a beautiful print piece that will drive unlimited revenue opportunities to Music City Center! Our design for The Governors Club new member sales kit included a custom pocket folder, saddle-stitched membership brochure, and various inserts. We incorporated a subtle argyle plaid graphic into the overall brand design that seemed fitting for this upscale Brentwood, Tennessee private golf club. Go ahead, tee 'em up, hit 'em straight! The marketing collateral we designed for AVANT, a leading transportation insurance company, encompassed a classic, clean look, with bright rich colors. Once we took this path with our design direction, it was easy truckin' finishing it up! This oversized tri-fold marketing brochure we designed for MKD International features an organic look and feel, highlighted by a UV treatment throughout. It does a nice job positioning their paper company to sell more product worldwide, something they can always take stock in. Write on! Vanderbilt Legends Club approached Powell Creative requesting a WOW-factor sales kit folder with accompanying brochures that would allure new members to this private Williamson County golf club. Our design included die-cuts for reveals, a large panoramic painting of the North Course #10 hole, and an embossed UV treatment on the cover. Not just par-for-the-course, but BIRDIE, BIRDIE, BIRDIE!